A woman shot dead three people and injured three more before turning a gun on herself in an attack at a warehouse complex in Maryland, US police say. Armed with a handgun and several magazines. The police did not shoot anyone. The US has less than 5% of the worlds population but suffers 31% of gun crime shootings. Almost 1300 children are killed each year with gun crime, a staggering statistic. The single loan shooter killed 3 and injured 3 more before fatally shooting herself at Rite Aid distribution center in Maryland. A pharmacy distribution centre in Perryman, near Baltimore, where roughly 1,000 employees work at the distribution center. Aberdeen is roughly 30 miles from Baltimore. The attacker, Snochia Moseley, 26, died from a self-inflicted gunshot wound. The motive for her attack is unclear. But a source close to the investigation said the woman was a disgruntled employee. She shot people outside the building and on the warehouse floor, he said. The woman died at a nearby hospital after shooting herself in the head. Mass shootings by women are rare, with more than 95% of such attacks in the US carried out by men. The suspect used a 9 mm Glock pistol and brought several magazines for the gun. It’s the third high-profile shooting in the US in two days. The shooting came a day after two other shootings. 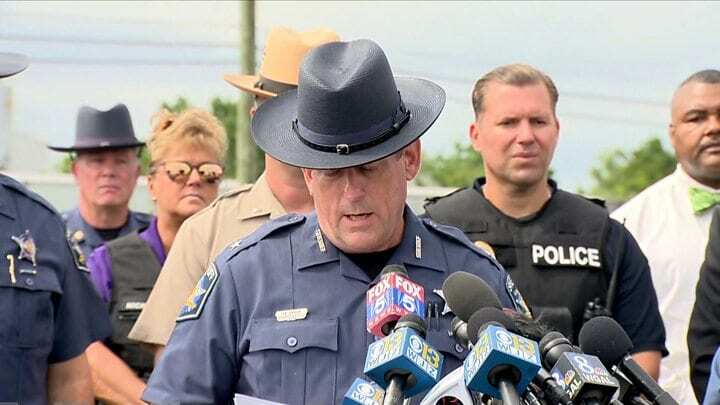 First, on Wednesday, a shooting at an office complex in Middleton, Wisconsin, and a second shooting, later the same day in Pennsylvania, where a gunman wounded four people at the Masontown Borough Municipal Center. Firearms are involved in over two-thirds of US homicides each year. Gun crime in America is far worse than most other developed countries. However, the powerful gun lobbyists control the influential law makers, with positive lobbying and incentives.